The eTRAC Electric Stabilizer system uses a unique, electric motor powered, rotational drive system in lieu of a hydraulic actuator. 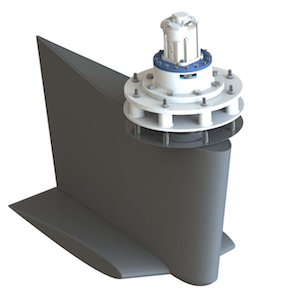 This simple rotational drive is the backbone of TRAC’s superior electric stabilizer design. 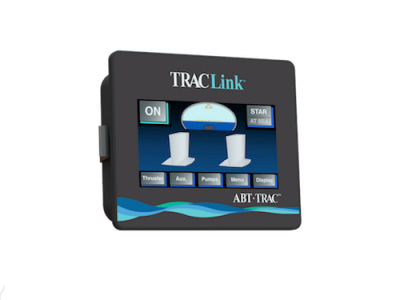 All operational functionality is powered by our user friendly new TRACLink control system. The eTRAC Electric Stabilizer offers an AC electric alternative to hydraulic stabilizers. TRAC’s electric stabilizer actuators are ideally suited for vessels where major electric equipment is being fitted including AC electric thrusters and AC electric windlasses. In place of a complete hydraulic system is a central power-controller that can be easily mounted where space permits and environmental needs are met. The actuator rotational design provides excellent reliability with reduced noise and maintenance requirements over reciprocating methods of stabilizer actuation. The eTRAC Electric Stabilizer system provides performance levels that meet or beat other AC stabilizer systems, while offering nearly the same authoritative stabilizing performance, subject to vessel AC power availability, as TRAC hydraulic stabilizer systems. Both eTRAC and TRAC hydraulic utilize an exclusive three-mode system which gives the operator more control choices than any other stabilizer system on the market, offering a winning combination of performance, flexibility and comfort. TRAC’s computer-optimized Fin and optional Winglet generate 20% more anti-roll force and 10% less tip vortex drag than conventional fins.